Deciding on the right hospital or birthing center can be just as important as finding the right doctor. These are the people who will help you bring your baby into the world, and you want to be sure you and your baby are getting the best possible care, including breastfeeding support from the start. Women who deliver at hospitals or birthing facilities that practice the WHO/UNICEF’s Ten Steps to Successful Breastfeeding breastfeed for a longer time and feel more confident caring for their babies when they get home. 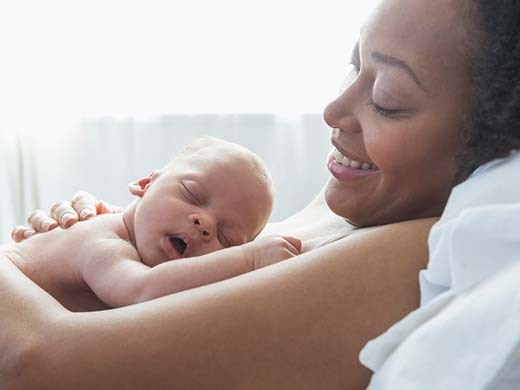 Facilities with Baby Friendly or Texas Ten Step designation are some of the best places you can deliver your baby, since they have proven they support breastfeeding moms. They require breastfeeding training for all their staff and encourage policies that ensure breastfeeding support. Learn how hospitals that support the Ten Steps to Successful Breastfeeding help you reach your breastfeeding goals. Find a hospital or facility that supports breastfeeding in your area. Skin-to-skin contact with your baby right after birth for at least an hour. This is referred to as the “Sacred Hour” and helps with bonding, healing, and early breastfeeding. Rooming-in or sharing a room with your baby, day and night, so you can breastfeed and respond to all his early feeding cues. Giving your baby no food or drink other than breastmilk unless there is a medical need. Help with breastfeeding at any time. Giving no bottles or pacifiers to your baby as they can hide his early feeding cues, which reduces milk supply. You can complete a breastfeeding plan to ask for these practices. Give a copy of your breastfeeding plan to your doctor, your baby’s doctor, and the hospital staff. Does it offer any special classes before or after your baby is born? Many facilities offer classes on parenting, the birth process, baby care, sibling preparation, breastfeeding, and even first aid or car seat safety. If possible, take a tour before choosing your hospital or birthing center. It’s your birth experience and your baby, so it’s OK to ask lots of questions! Here are some tips on what to pack for your delivery and your hospital stay.